Blackmores Collagen 10,000 mg is enhanced with Grape Seed Extract and Vitamin E for complete skin rejuvenation in just 6-12 weeks. Collagen regenerates and repairs skin, while promoting new cell growth for firm and radiant youthful beauty. Antioxidants vitamin E and grape seed extract helps in protecting cells from free radical damage. The method of fish collagen extraction uses the world’s leading bio-enzymatic hydrolysis technology (at present the most high-tech standard) to produce a lower molecular weight (MW) and increase functionality, including solubility. This hydrolysis process uses strict quality control to create collagen that has an average of 2,000 Dalton, which is of a high quality collagen, and offers better absorption by the human body, ensuring that it is fully utilized and absorbed. Blackmores Collagen 10,000mg is certified HALAL by the Taiwan Halal Integrity Development Association(THIDA), which is recognized as a halal certified body by JAKIM, Malaysia. We would recommend you to take collagen for 6 consecutive days when taking for the first time and then take 1 bottle every 2 days for maintenance. Blackmores Collagen 10,000mgmay be taken over the long term or you may take our Blackmores Marine Q10 Plus as a maintenance supplement for the longer term OR take both for maximum benefits. 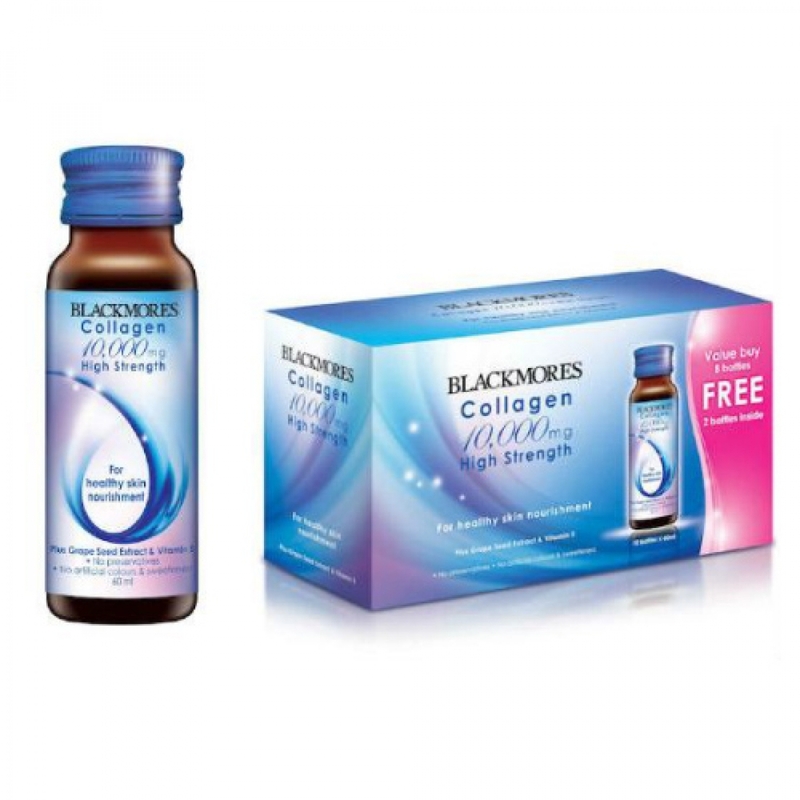 Blackmores Collagen is suitable for anyone above 12 years of age.